We take a multidisciplinary view that integrates water, energy, and related sustainability initiatives to provide solutions for our customers. We offer estimates of water and energy saving potentials, verification of savings, program design, market characterization, and more. Energized Services served as the primary subcontractor for Navigant to perform data gathering and analysis of information gathered from the extensive field based interviews of approximately two hundred growers and post-harvest processors. Energized Solutions developed the interview schedules, qualified the Agricultural interview candidates throughout the state’s diverse agricultural regions, and conducted the field interviews. Energized Solutions also conducted secondary research and interviewed subject matter experts throughout the state to assess Best Practices and Lessons Learned. Energized Solutions supported Veolia Energy in evaluating opportunities for the implementation of energy efficiency and renewable energy projects at the Consulate building in Los Angeles, California. The focus of the project was to facilitate the implementation of a photovoltaic system, solar domestic hot water heating and the overall reduction of the carbon foot print of the facility. The project included a detailed energy audit, identification of opportunities, estimate of energy aūnd cost savings, economics of identified opportunities, recommendations of measures for implementation, and a final report. As a subcontractor to BSE Engineering, Energized Solutions supported the SCE-sponsored Green for Life program to support energy policies and energy efficiency programs for the following cities: Palm Springs, Desert Hot Springs, Blythe, Cathedral City, Rancho Mirage and Indian Wells. Energized Solutions was responsible for benchmarking building for each city, developing energy efficiency and RCx policies and procedures, and implementing an Utility Manager software system. As a subcontractor to Navigant Consulting, Energized Solutions supported a Statewide Agriculture Market Characterization and Energy Efficiency Potential Study managed by Pacific Gas & Electric (PG&E) on behalf of PG&E, Southern California Edison (SCE), Southern California Gas (SCG), and San Diego Gas & Electric (SDG&E), and the California Public Utilities Commission (CPUC). This Study focuses on the following segments within California’s agriculture industry: Fruit, Tree Nut and Vine Crops, Vineyards & Wineries, Dairies, Greenhouses & Nurseries, Field Crops, Refrigerated Warehouses and Post-Harvest Processing. The purpose of this Market Characterization was to provide all parties involved in the Study with current and actionable information from growers, operators and subject matter experts. Energized Solutions was responsible for the development of the survey instruments, recruiting participants, on-site interviews, and compilation of data. Energized Solutions was a subcontractor to MBO, Inc. to serve as Project Manager and technical support on a contract with the County of Los Angeles to conduct retrocommissioning and energy modeling services for three building complexes with a total area of 1.6 million square feet located in the LADWP service territory. The work included continuous interface with the County Project Manager, establishing energy usage benchmarks, identifying energy efficiency opportunities, modeling building energy usage using eQUEST, implementing energy efficiency measures, establishing system-level benchmarks for the buildings and conducting project monitoring and verification of energy savings. As a subcontractor to RW Beck, Energized Solutions was responsible for the management and delivery of contract deliverables related to the characterization of renewable technologies. This included the evaluation of the anticipated market penetration of photovoltaic systems, residential solar hot water systems and commercial daylighting systems that are currently being incentivized under an existing APS renewable technology program. Energized Solutions supported market research in the areas of evaluating the existing deployment of the technologies, compiling residential demographic data, investigating the deployment characteristics of PV systems in other regions of the country including California and New Jersey, and characterizing technology performance, cost, applications and economics. Energized Solutions was a subcontractor to MBO, Inc. to serve as Project Manager and technical support on a contract with the State of California to conduct Retrocommissioning services for four building complexes with a total area of 800,000 square feet. The work included establishing energy usage benchmarks, identifying energy efficiency opportunities, modeling building energy usage, implementing energy efficiency measures and developing an energy management strategy. 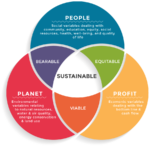 All of our projects take into account the Triple Bottom Line. The following text is just filler.conducted the field data gathering associated with eleven (11) of the LA DWP’s energy and water efficiency programs, including the Small Business Direct Install Program.